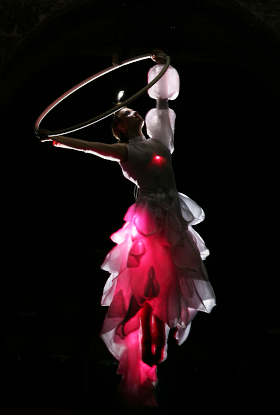 Airlight aerial hoop is totally unique. Two hoops playing in synchronicity suspended high in relative darkness. 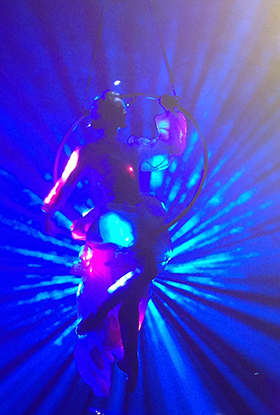 The performers ascend in ghostly form. 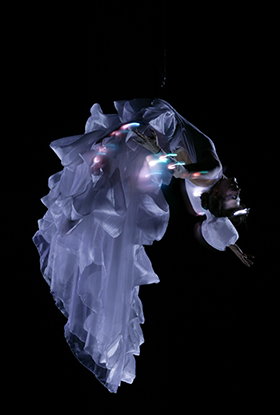 Dress in long white radiant dresses the girls create a world of their own, their dresses changing colours on a whim. 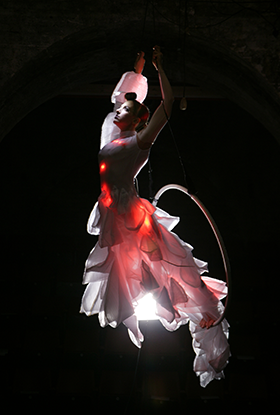 As the music starts the performers light themselves and their movement with a bespoke LED lighting system pulsating in time to the music. Caught in a mesmeric atmosphere they play out their special dance. 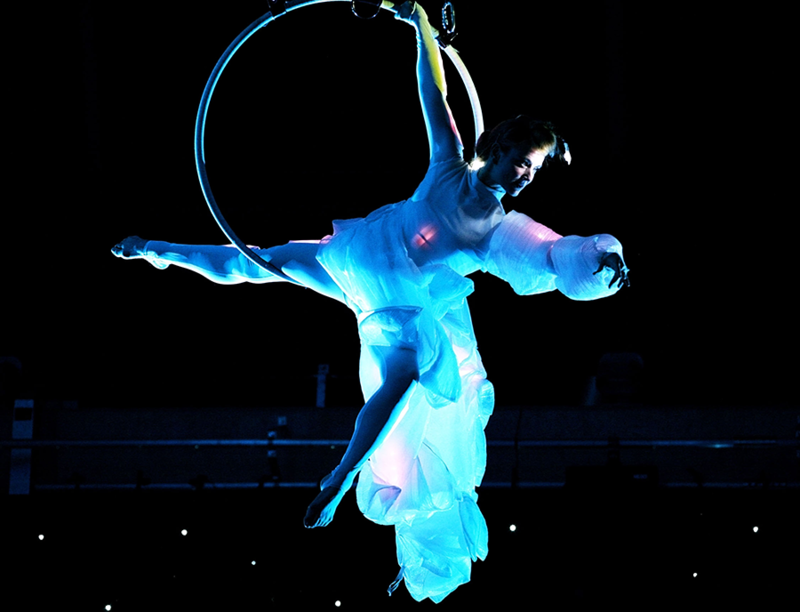 This act has wowed the audiences with its elegance and poetic atmosphere. There are two Airlight’s available, but it can also be done as a solo. 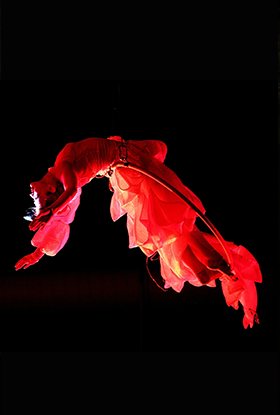 The act is available for hang-about or a focused show. 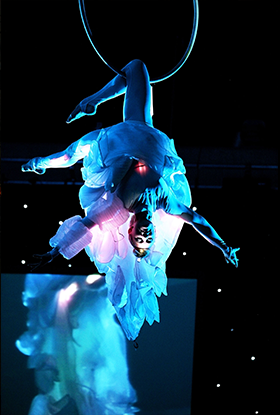 For a big impact show, you can have The Butterfly performing on the ground and The Lightwalkers on stilts as well as The Airlight Hoop in the air, making a big light extravaganza on all levels. Follow the links to see the other acts. 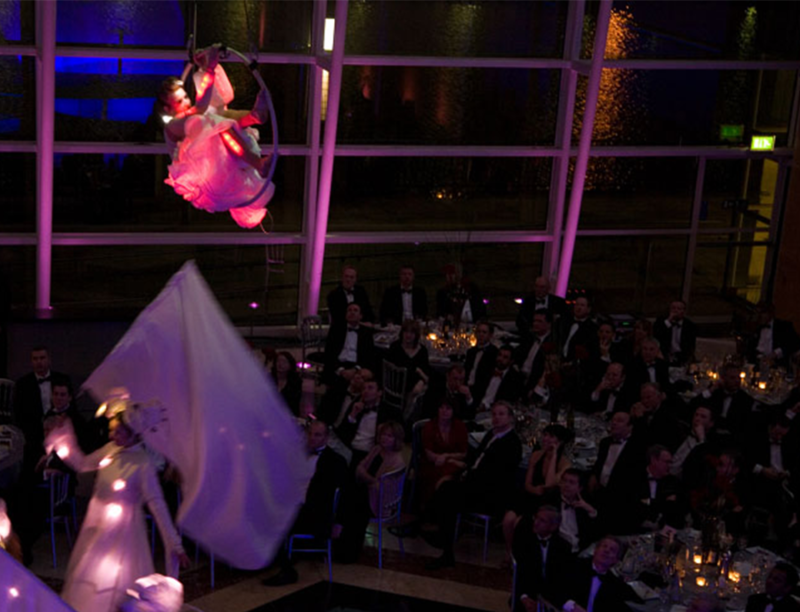 Dinner Parties, Launches, Celebrations, Glow Theme Events and Functions. You can book 1 or 2 for you event.